Mozilla has announced some big changes for Firefox and soon the browser will pick up more extensions (or add-ons) once exclusive to Chrome and Opera. In a blog post, Mozilla's Search and Add-on's developer Kev Needham announced Firefox will soon utilize a new extension API called WebExtensions. As it moves away from its old Electrolysis and Servo platforms, this will make it easier for developers to port their extensions designed for Chrome and Opera – which both use an API called Blink. While it will ultimately be up to developer to actually bring their add-ons to Firefox, it's a big step forward for towards making the browser compatible with all extensions. Unfortunately, this news comes as a double edged sword. The API switchover also means a large number of existing add-ons will not work with future versions of Firefox unless they're rewritten for WebExtensions. However, developers will have plenty of time to update their code until the 12 to 18 month transition is complete. After that Mozilla expects to roll in the new API with Firefox 43, which is scheduled to release on December 15. 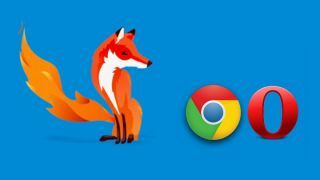 In the future, Mozilla also promises to take more steps in validating and signing every Add-on starting September 22. This way every extension will be fully vetted before users can even attempt to download and install them.